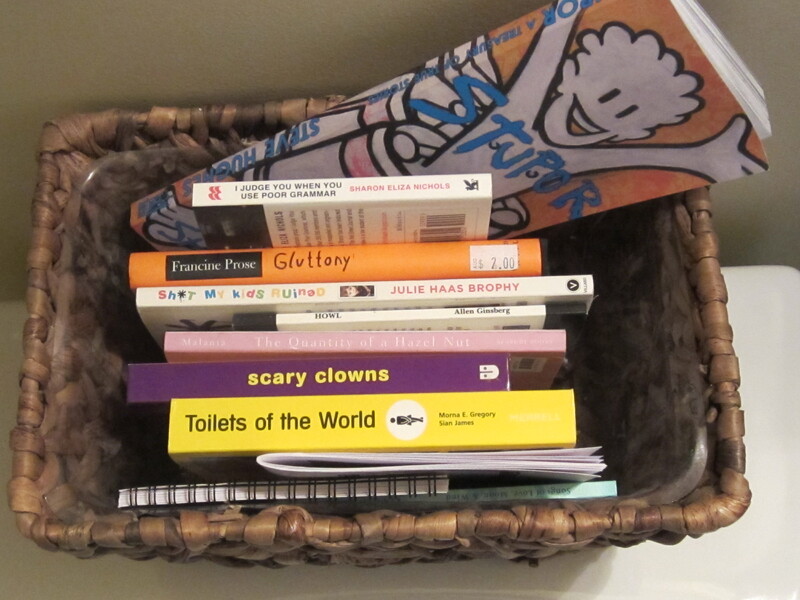 Books in the bathroom are as essential as toilet paper. But not to be used for the same purpose, except in cases of emergency. And then only if the book is already full of what it will be full of if used for such purposes. 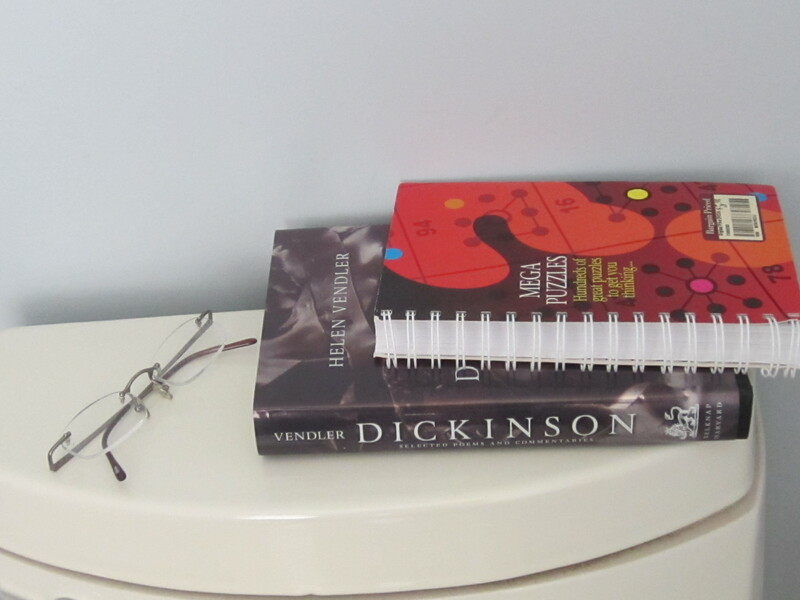 For one (back to reading books, not wiping with them), keeping books handy in the bathroom is a tricky way to get the residents of your household reading. It’s also a proven method of reading something yourself that you wouldn’t find the time to read in any other room of your abode. 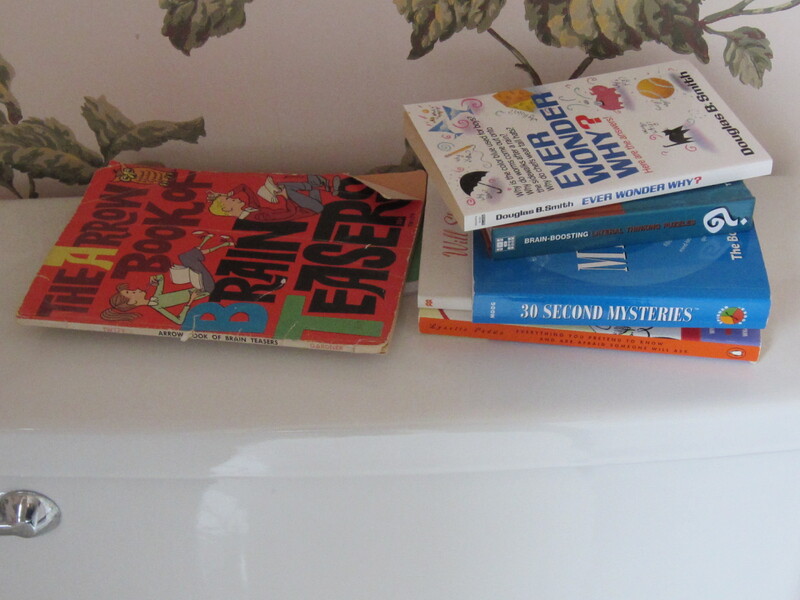 The perfect bathroom book can either be read in one sitting or has self-contained chapters or segments that can be digested in 5 to 10 minutes. The Perfect Bathroom Book has illustrations, although an exception is made for books of poetry and Helen Vendler’s book about Emily Dickinson’s poetry. If you’re tired of the angel books you’ve had in your bathroom for the past ten years and you’re ready for something a little more fun or provocative, I found a new source for P.B.B.’s when I was in Chestertown, Maryland a few weekends ago. Idiots’ Books is small press in Chestertown that produces small books. Husband and wife team Matthew Swanson and Robbi Behr write, illustrate and publish their little gems from an old barn downtown where they live with two young children. The books are offbeat, clever, charming, disarming and sometimes warming. I bought The Baby is Disappointing, Facial Features of French Explorers, Homer Was an Epic Poet, and my favorite, The Nearly Perfect Sisters of the Holy Bliss, at a local Chestertown bookstore. You can buy them individually online or through a subscription service: 6 books a year for $60. Note: the books are illustrated but they are not children’s books. You can see more on the Idiots’ Books website. 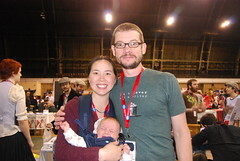 Even if you don’t want to buy, check out the couple’s blog. Theirs is a charmed life, at least from the vantage point of my bathroom. We are indeed charmed to find ourselves hanging out in your bathroom(s). Hurrah! Thanks so much for the kind write-up – we’re sorry you missed you while you were in town. And I think the book about what my poo might be telling me is going to give me nightmares. So, double thanks. Tom from Book Plate (what a great store!) told me to stop by your studio and meet you but I was too busy or maybe just too shy. 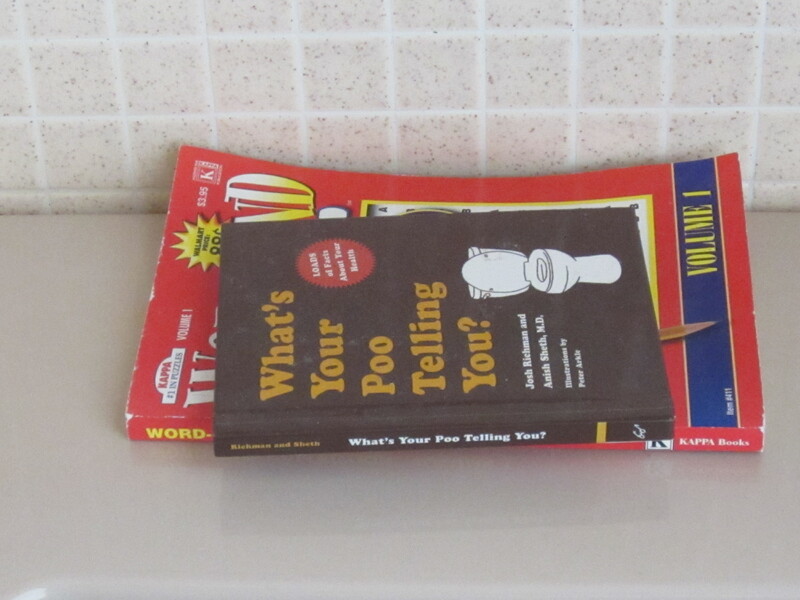 FYI, the Poo book is actually quite informative.